Residential Life recognized over 100 professors, instructors, and advisors in the Inaugural Professing Excellence and Inspiring Instruction Reception. Over 150 students nominated 115 different instructors for making a difference in their academic career. 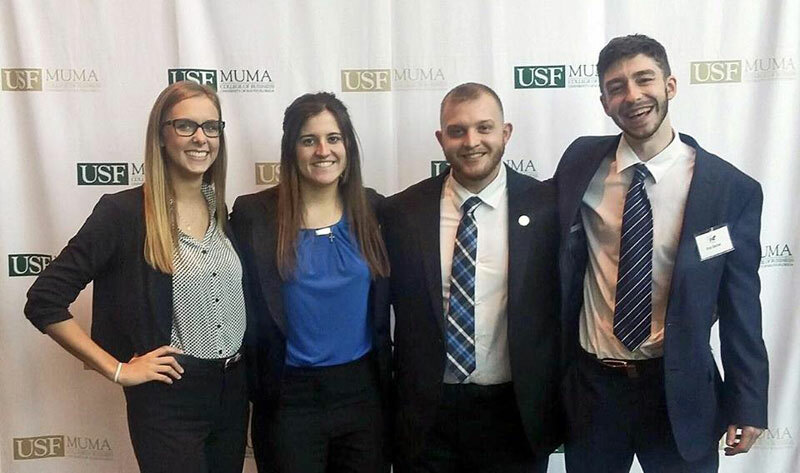 Those nominated from the Scott College of Business were Concetta DePaola, David Fleming, Jeff Harper, Blake Rayfield, and Milton Soto-Ferrari. 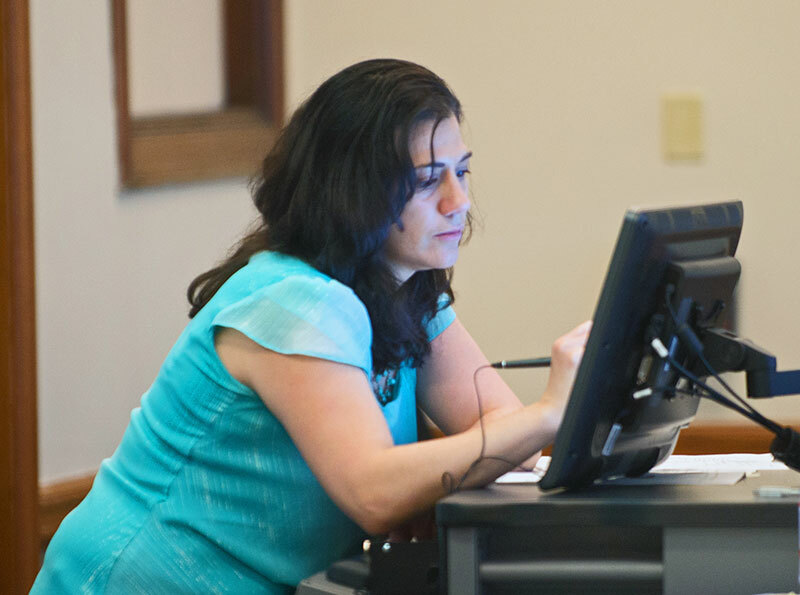 Concetta DePaola also became a Master Teacher having completed a rigorous three-semester program that required intensive reflection, meaningful investigation, and comprehensive analysis of effective teaching. These behaviors have enhanced their ability to provide quality student learning experiences. We appreciate their dedication and commitment to the foundational mission of Indiana State University! Scott College of Business Dean Brien Smith has been named provost and vice president for Academic Affairs at Youngstown State University in Ohio. Smith has led the Scott College since 2012. During that time, Smith created a new center to administer student success programs and oversee student career-readiness initiatives, expanded online programs, increased the number of women leaders in the college by 30 percent, and helped raise millions of dollars in gifts and earn more than $9 million in external grants for student programming and scholarships. "I have appreciated Brien's insights and his thoughtful approach to leadership. 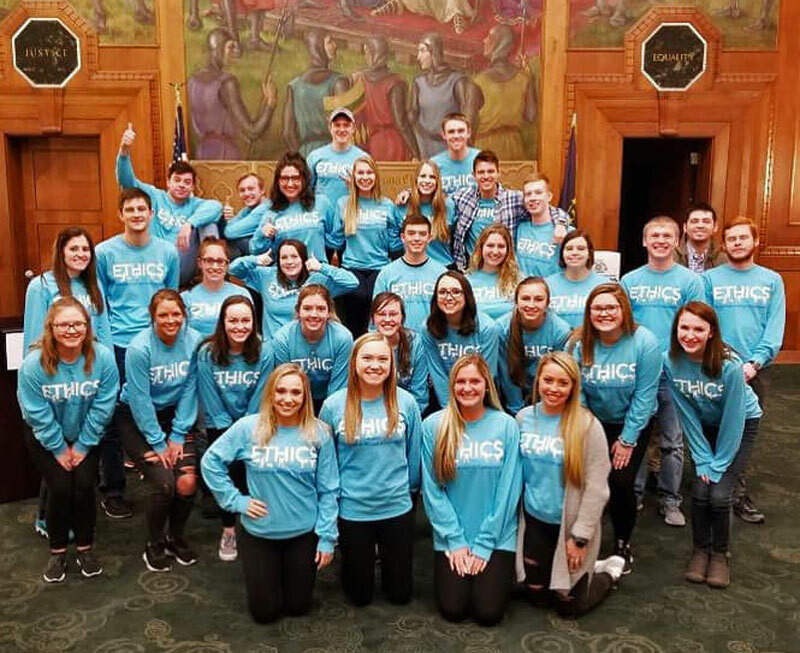 He's been a cornerstone of my leadership team, and I know he will bring these qualities to Youngstown State," said Mike Licari, provost and vice president for Academic Affairs at Indiana State. Smith, who will be Youngstown's second-highest ranking officer and oversee all academic operations of the university, was selected after a four-month search that drew more than 60 applicants nationwide. 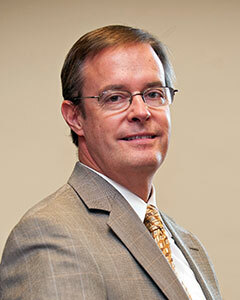 "My job as dean has been rewarding, and I am truly blessed to have served with so many talented people," Smith said. "I cannot say enough about State's spirit of generosity and its dedication to transforming student's lives and impacting the community. I am very excited about pursing my new role, and I am so grateful for the opportunity Indiana State University provided me." Youngstown State is a comprehensive urban research university that offers nearly 13,000 students more than 135 undergraduate and graduate programs backed by a strong tradition of teaching, scholarship and public service. 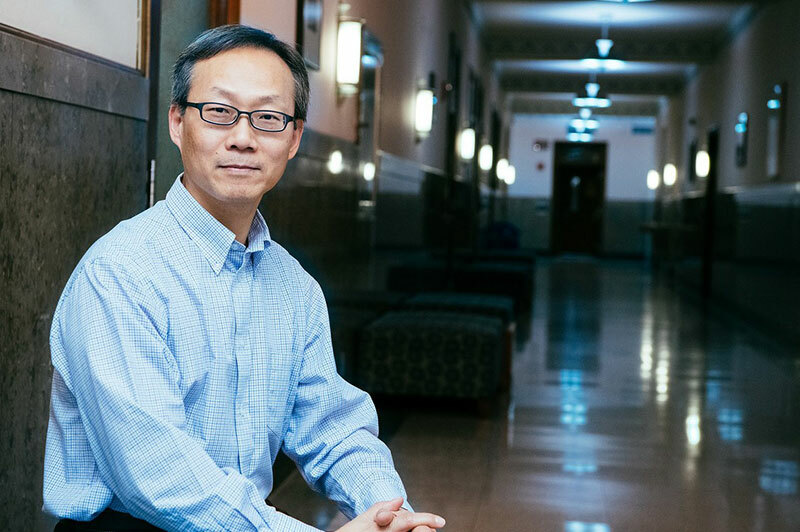 Like some of his students at Indiana State University, Jin Park didn’t know what to study when he entered college in his native South Korea. He decided to earn his first bachelor’s degree in agriculture and had an opportunity to study English and learn about the American culture in the U.S., where he completed a second bachelor’s degree in business administration. 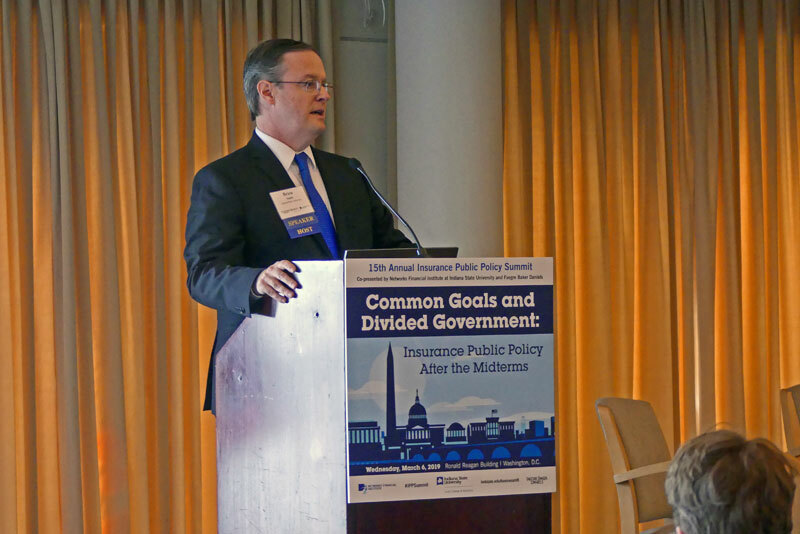 Park was intrigued by how insurance worked and benefited people in the U.S. Instead, Park has spent the last 16 years teaching at the collegiate level. Before coming to Indiana State in 2009, he taught insurance and risk management at Illinois Wesleyan University for six years. At State, Park teaches introduction to risk management, commercial property risk management insurance and employee benefits. 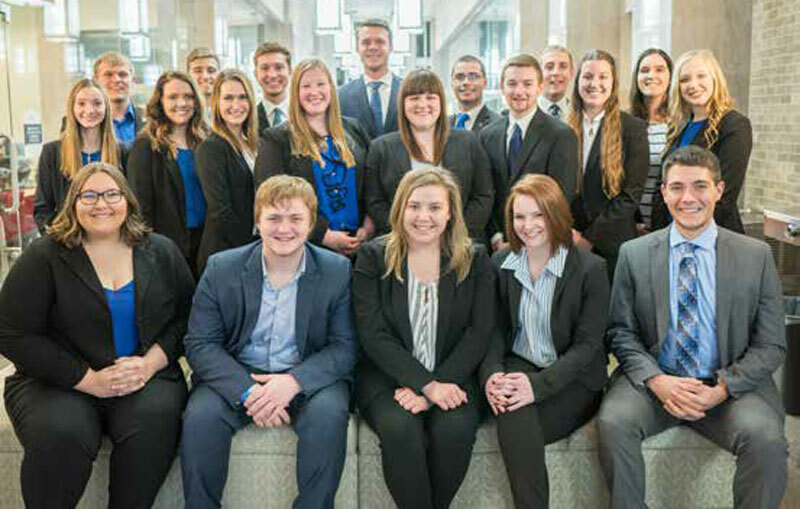 Indiana State’s insurance program has been nationally recognized and was one of the first schools in the nation to offer insurance and risk management as a major. But Park often reminds people that insurance as a college major is not about sales. “It’s about helping clients and businesses better manage their risk and insurance is a means to manage that risk,” he said. Maya Jamison was pursuing a degree in cellular molecular biology at another school before transferring to Indiana State. She had interned with Ernst & Young and decided to pursue a degree in accounting to contribute more to the firm. With the huge jump from science to business Jamison says she started to comprehend more of what was expected of her at Ernst & Young and more knowledgeable and they noticed this as well. Which resulted in her receiving a full-time position from the firm. Jamison looked at State as an opportunity for a second chance. 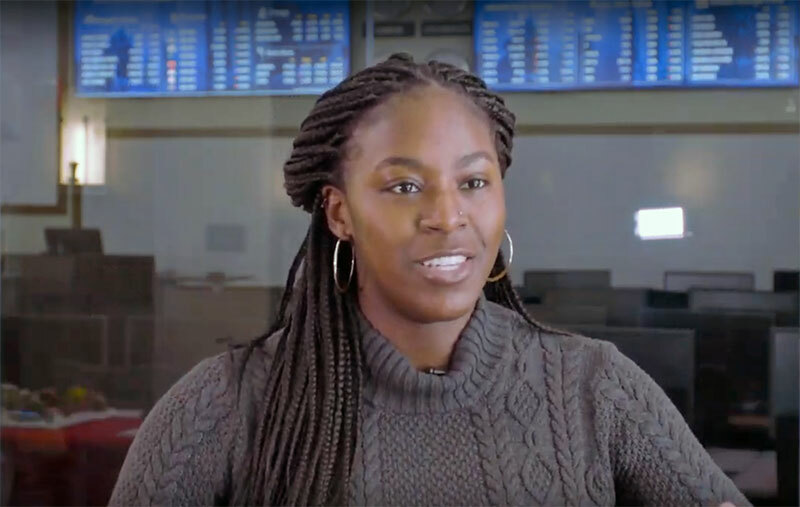 She loves how much more she was challenged at State than her previous school and the materials and tools she learned are with her for the rest of her accounting career. 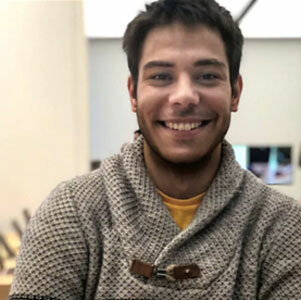 Milos Pavlovic, ’12, GR ’15, thought he would continue the acting and voiceover work he did in his native Belgrade, Serbia when he decided to pursue his undergraduate study in theater at Indiana State University. 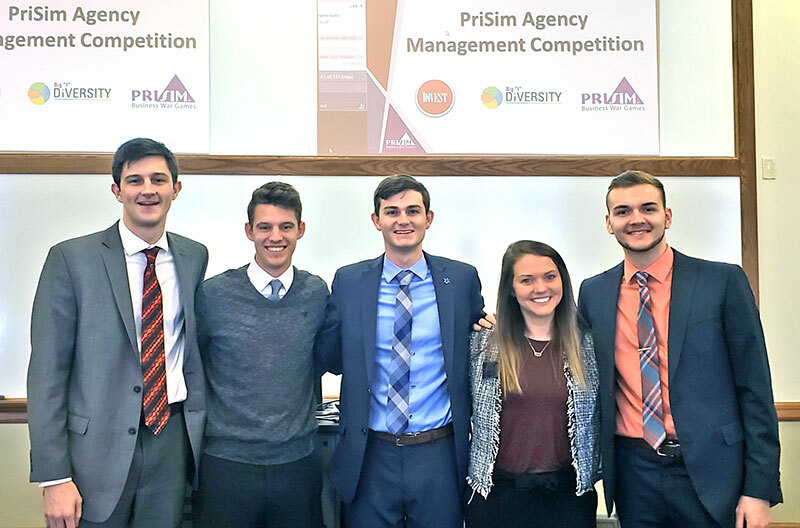 “My interests in business grew and I decided to switch my major to insurance and risk management during my sophomore year after I took the intro class and realized the opportunities the program has to offer,” he said. Pavlovic joined Sycamore Ambassadors, Gamma Iota Sigma, Sigma Alpha Epsilon and Finance Club and worked in the Meis Center, where he taught lectures about business etiquette and diversity while earning his Master of Business Administration with a focus in finance and operations and supply chain management. Matt Mershon came to Terre Haute for his freshman year of college at Indiana State University in 2001 and he’s been making a difference in the business world ever since. 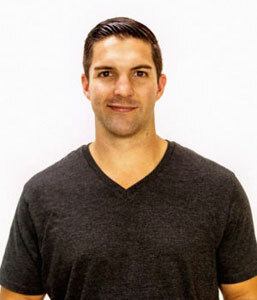 Mershon, who is originally from Crawfordsville, Ind., completed several internships before graduating with a bachelor’s degree in management information systems in 2005, including one his sophomore year in Indianapolis at Inland Container, a corrugated board manufacturing company, where he worked in the corporate office. His future in business was a no-brainer. Through high school, he started to see it was the path he wanted to take in life. His mom was in the business field and worked on computers at Inland; when he saw his mom come home and talk about her day, he’d help her troubleshoot. It got him interested in MIS and he knew that was his path coming in to Indiana State. 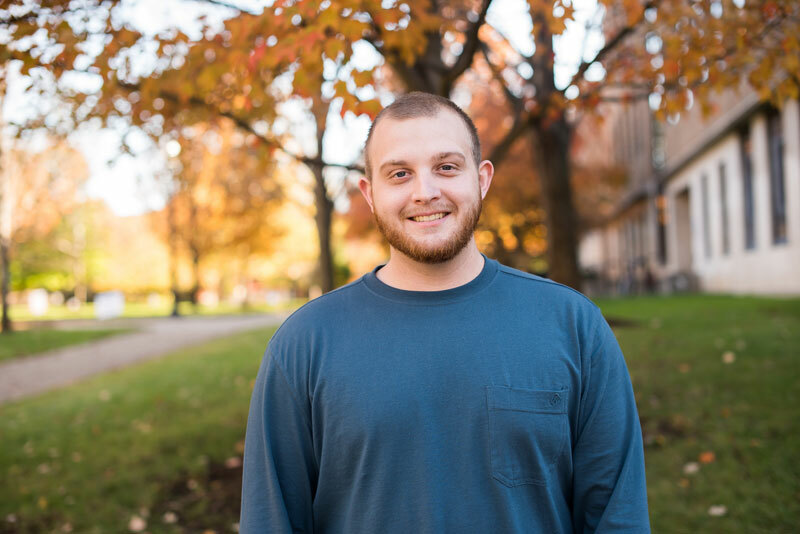 Andrew VanDenburgh may be in his final semester at Indiana State, but he’s already looking beyond commencement after he accepted a position last fall as an area manager at Amazon’s fulfillment center in Denver. “This job offer was one of the most exciting moments of my life,” said VanDenburgh, who will graduate in May with a double major in operations and supply chain management and marketing with a concentration in sales management. 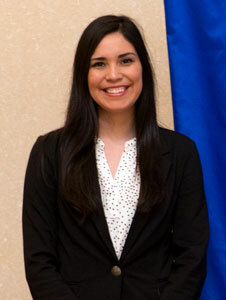 “I knew I wanted an internship experience my junior year. When I saw an opportunity at Amazon, I saw it as a gold standard internship in my eyes. 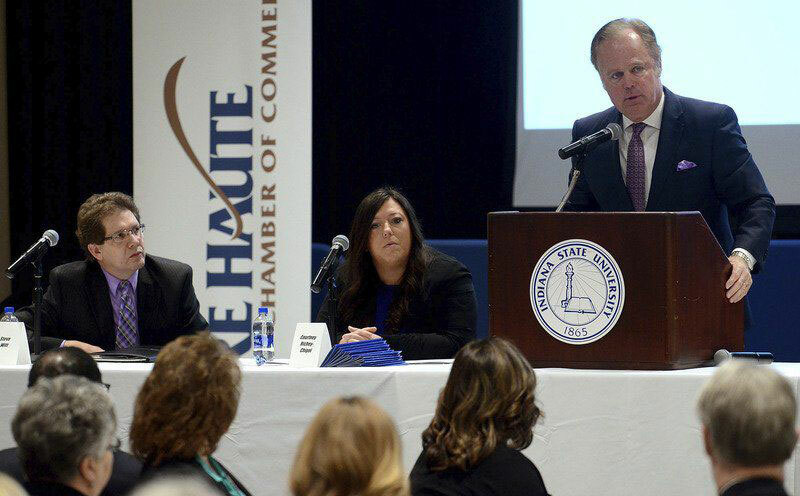 A positive report on Terre Haute's direction for future economic growth came Tuesday morning during the Groundhog Day Economic Forecast. 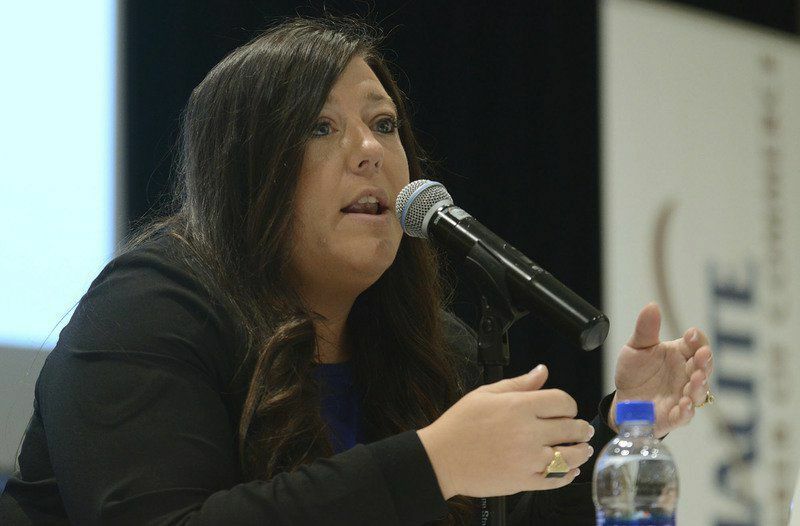 Workforce remains the greatest challenge for the Wabash Valley, as it is in many areas of the country, said Steve Witt, president of the Terre Haute economic Development Corporation. But it is also the greatest opportunity, he said, due to the post-graduate institutions and training available. 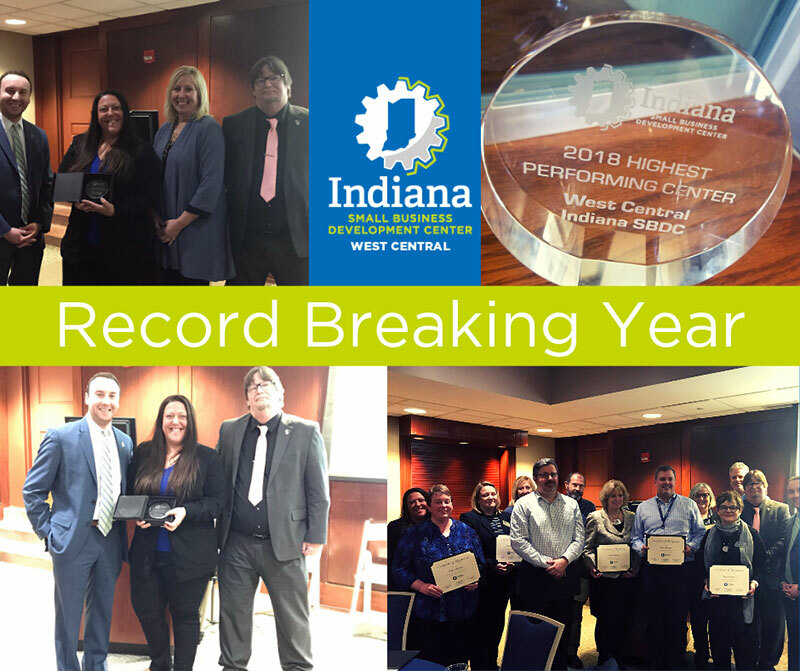 Presenting the Groundhog Day Economic Forecast along with the Terre Haute Chamber of Commerce were the Indiana State University Scott College of Business and Terre Haute Savings Bank. Emily Conrad’s resume is chockful of experiences that would catch any recruiter’s eye, thanks to studying at State. 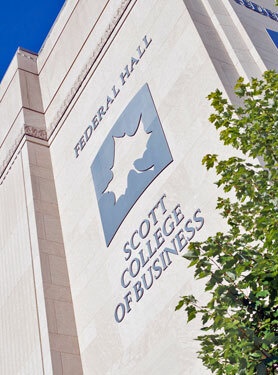 “As a prospective student, I couldn’t believe that people got to go to school in a place like Federal Hall, and I feel so now lucky that I will get to call myself an alumna of the Scott College of Business and Indiana State,” she said. Once she found the right path, Conrad wasted no time getting involved. She served as treasurer of the Investment Club’s portfolio of stocks and bonds, got involved in the Financial Planning Association and joined Delta Sigma Pi, the professional business fraternity. 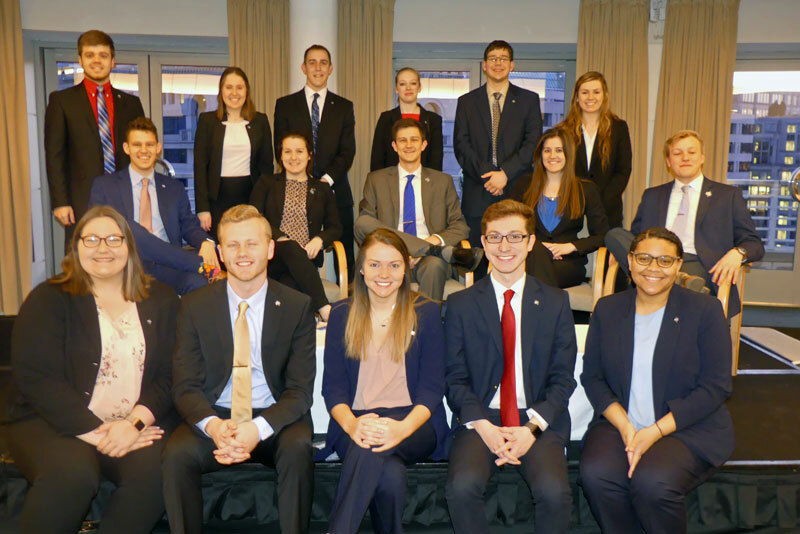 “Through the Investment Club, I got to go to the Student Management Investment Funds Consortium Conference in the fall, where we met with CFO of the Federal Reserve, got to take a tour of the Federal Reserve and met a ton of Indiana State alumni in the Chicago area who work in the finance industry,” she said.